NOT TOO LATE – we’re nearly at the end of this year’s Great British Bee Count but there is still a chance to join in and record bee sightings in the North York Moors up to the end of June. Reported records will help to build up a snap shot picture of the national bee population in 2017. Bees, like all pollinators, are a vital cog in the workings of biodiversity. Volunteers are a crucial constituent in data recording that means trends and issues can be recognised and understood. With understanding there is a chance of addressing the issues. 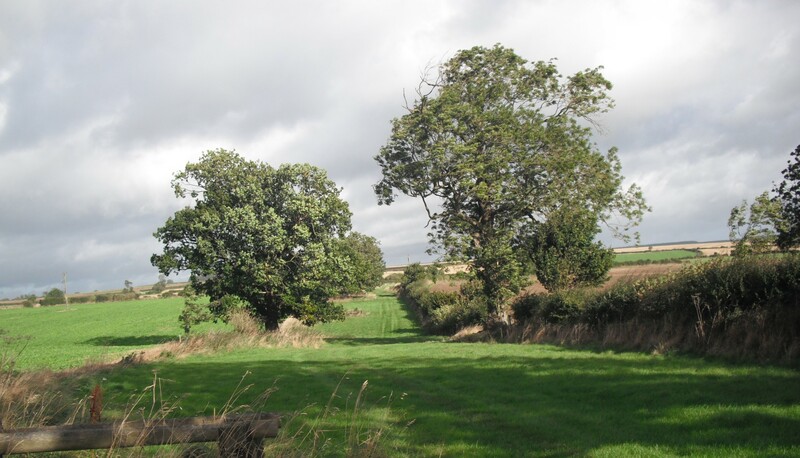 Mature trees within a hedgerow network are an important feature in the countryside. This is where land managers across generations have allowed single hedgerow plants to grow to their potential, alongside hedgerow plants that are coppiced, laid, and managed to create a boundary. Hedgerow trees have no particular value in terms of land management, but have huge value for wildlife and for the landscape. Traditionally Elm, Ash and Oak trees were the dominant hedgerow tree species reaching heights of up to and over 30 metres tall, towering above the hedgerow corridors. Saplings that are allowed to grow higher than the surrounding hedge do not need to compete for light and therefore grow and spread their canopy high and wide up into the air. This provides a wonderful habitat kingdom for many species of wildlife, free from the clutch of ground based predators. Such trees act as key wildlife ‘stepping stones’ between woodland habitats and across a mixed landscape. 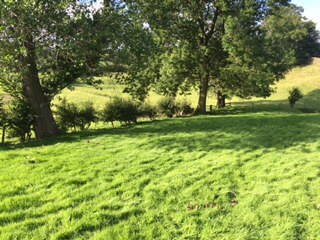 The intensification of agriculture in the latter half of the 20th century including increasing field sizes resulted in the loss of thousands of miles of hedgerows along with their hedgerow trees. The outbreak of Dutch elm disease from the late 1960s onwards removed some 20 million elms from our countryside, mostly from hedgerows. It is therefore quite rare now to find a mature Elm tree within a hedgerow. Similarly Ash trees are now threatened by Chalara dieback. In 1998 there were an estimated 1.8 million hedgerow trees in Britain (CPRE survey). Many of our over mature hedgerow trees today are beginning to die and slowly retrench. There is an adage that an Oak tree takes over 200 years to grow and then 200 years to die. To check the loss of hedgerow trees we need to be planting new ones to replace the ones that are dying back. The 1998 survey revealed that only 1% of hedgerow trees were in the youngest age class (1-4 years old). 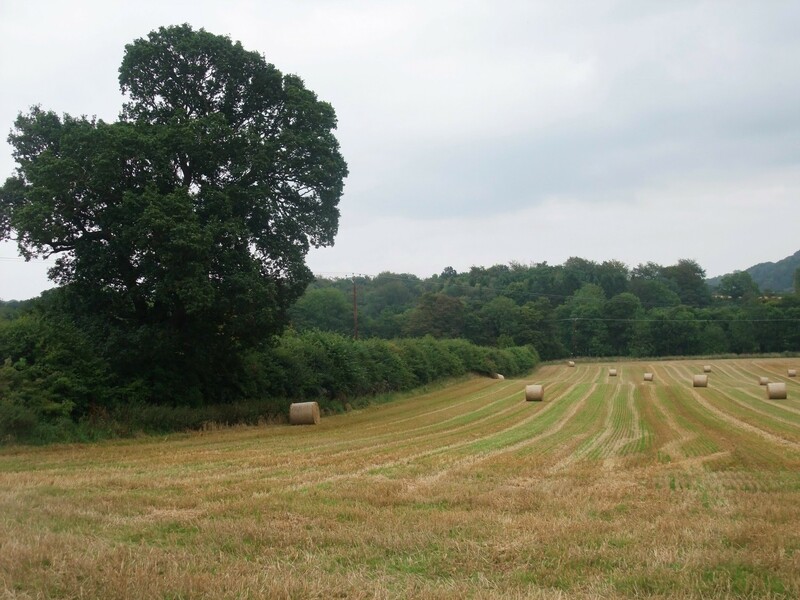 Without successional planning there is a danger that these key features will be lost for good from the landscape and the disconnection between farmed land and semi natural woodland will become more marked than ever. It takes a leap of imagination but by planting now land managers will be leaving their mark on the landscape for their children. Trees take time to grow. Native wildlife species use hedgerow trees but birds, bats and butterflies in particular favour mature hedgerow trees. Tawny Owls take advantage of mature trees both as nesting sites and day roosts usually hiding close up against trunk. From a tree perch owls can see the movement of their potential prey on the ground below them. Bullfinches clamber amongst the branches searching for seeds, buds and insects. Treecreepers and Nuthatches use their acrobatic skills to forage for insects, nuts and berries and Woodpeckers drill away into the deadwood high in the canopy to make a home and feast on any tiny invertebrates in the wood. Butterflies such as Hairstreaks forage for honeydew from aphids and lay their eggs high up in the Oaks and Elms. Rich lichen communities also grow on the branches of old hedgerow trees. In some of the older trees, holes and crevices provide ideal habitats for a variety of bat species. Around three quarters of British bat species are known to roost in trees. Bats use different parts of the tree for different reasons, depending on the time of year and temperature. In the summer bats use the higher canopy sites to have their young in warmer temperatures. In winter, they move deeper and lower into the tree to hibernate. 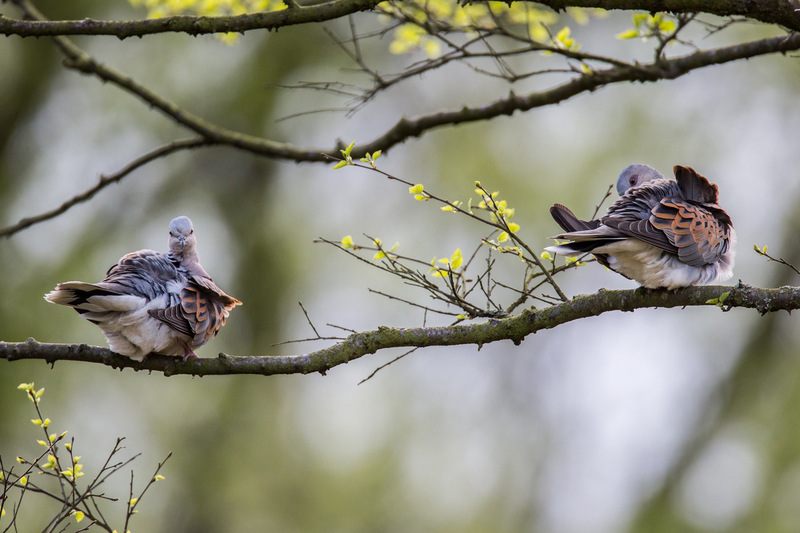 Trees such as Oak, Beech and Ash are particularly suitable for bats, but any hedgerow tree has potential for a bat roost – especially if it has cavities in the trunk or branches, woodpecker holes, loose bark, cracks, splits and thick ivy. In Britain, all bat species and their roosts are legally protected by law. We’re working on enhancing wildlife corridors and connections through our habitat connectivity initiative, and as part of this we’re actively encouraging the planting of hedgerow trees where appropriate. 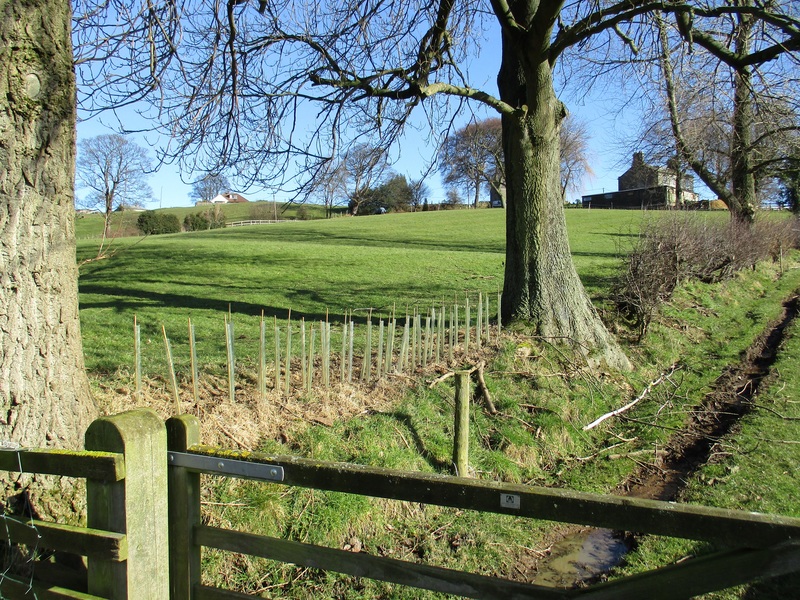 With the loss of Elm and the threat to Ash, Oak is now the main species being planted in the North York Moors to become the hedgerow trees of the future. With good care and maintenance the trees should grow into vigorous specimens. Select suitable saplings from within an existing hedgerow and add a tree tag to the top of it. This shows/reminds the person who cuts the hedge to leave this strong sapling to grow into a mature tree. Alternatively, plant a hedgerow tree adjacent to an existing hedge to add variety and height. This has the added advantage of widening the hedgerow and enables useful wildlife buffer strips to develop along the hedge bottom. If there is an existing gap within a hedgerow that is wide enough to accommodate a hedgerow tree then plant a new tree there. Try to avoid uniform planting and instead plant the new trees at irregular intervals along the hedge line. Planting two or three together may also be suitable for instance if a site is next to a field corner. Plant trees with local provenance that will be used to the local conditions and be more likely to flourish. It is best practice to add a tree guard or tube attached to a stake to protect a tree in its early years from stock, rabbits or deer. A mulch mat around the base of the tree helps to keep the weeds down. This will give the tree every chance to grow strong and straight. 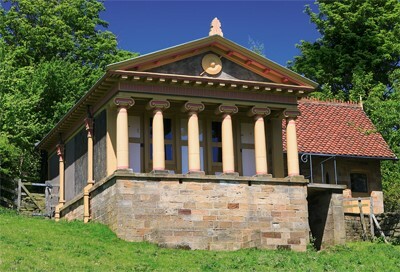 Practical help and advice can be provided by the National Park Authority. Contact us. 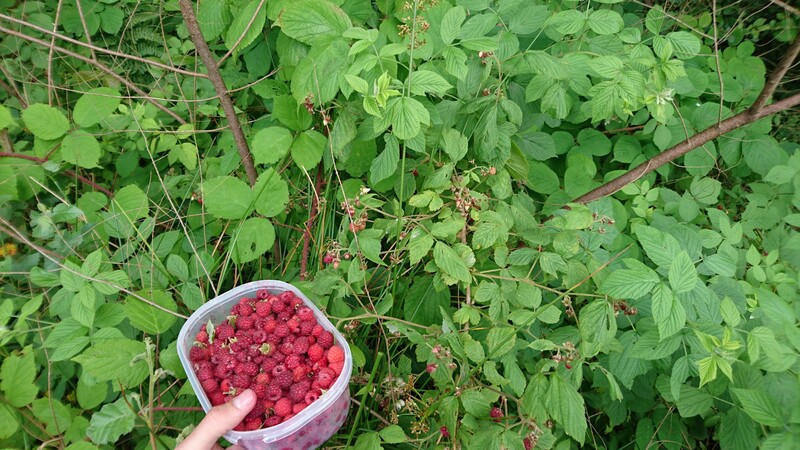 This summer I collected 10,000 (approx.) native raspberry seeds Rubus idaeus from the North York Moors for the UKNTSP (UK National Tree Seed Project). This is a project run by Kew to collect tree and shrub seeds from different regions of the UK in order to build a genetic representation of all UK tree/shrub species in the country. I first got involved with the project when I first started with the National Park last autumn. 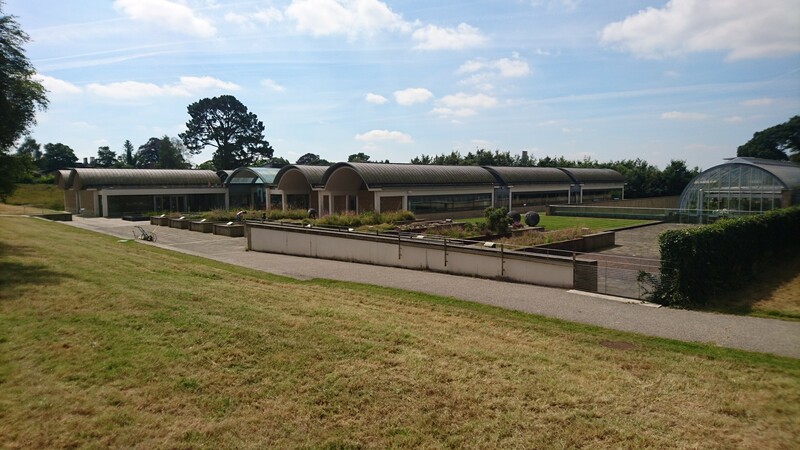 A couple of weeks ago I got to visit the Kew Millennium Seed Bank at Wakehurst Place in West Sussex to drop off the raspberry seeds and see behind the scenes. Bede West, a field officer for the UKNTSP, kindly gave me a tour of the Seed Bank, and explained the processes involved. Collected seeds are sent, along with a herbarium (plant) specimen, to the Millennium Seed Bank. The herbarium specimen is used to determine the correct plant species and is then stored at the Herbarium at Kew Gardens. If seeds are not yet ripe, they are ripened in a ripening room. Once the paper work has been checked over, the seeds are extracted from casing or fruit, and washed using inventive methods such as squashing them while wearing wellies, scrubbing them on a rubber car matt, sieving them, and rinsing them in the sink. 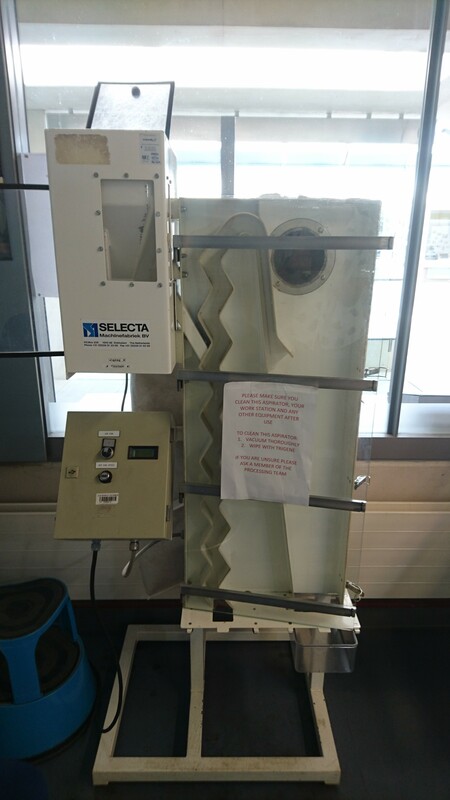 A zigzag aspirator can be used to separate seeds by size. Most seeds are then x-rayed. Seeds can be infected by pathogens such as grubs, fungi, viruses and bacteria, reducing their viability. 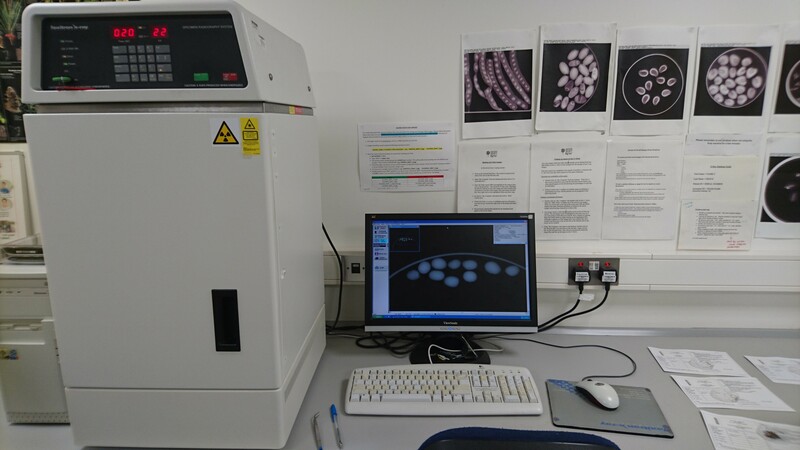 Viruses can be hard to detect in the x-ray so a sample of seeds can also be looked at under a microscope. There are orthodox, recalcitrant or unorthodox seeds, along with intermediate seeds. Orthodox seeds can be dried to 5% moisture content or lower and then frozen. Relcalcitrant seeds will not survive if their moisture content drops below 40%. Intermediate seeds are someway inbetween and can be dried somewhat. 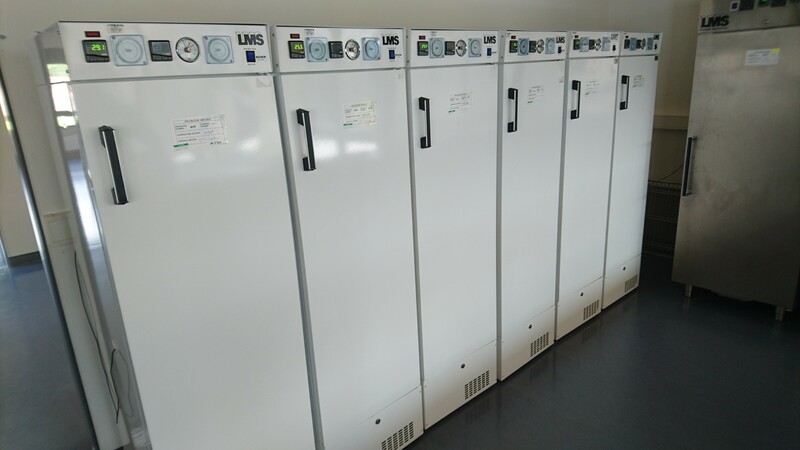 Orthodox seeds are placed in a temperature and humidity controlled drying room where the seeds are gradually dried to 5% moisture or lower. 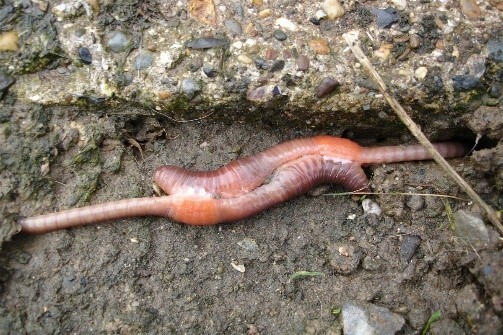 Certain seeds can take more than six months to dry out. The seeds needs to be dried so that damaging water crystals do not form when they are frozen. 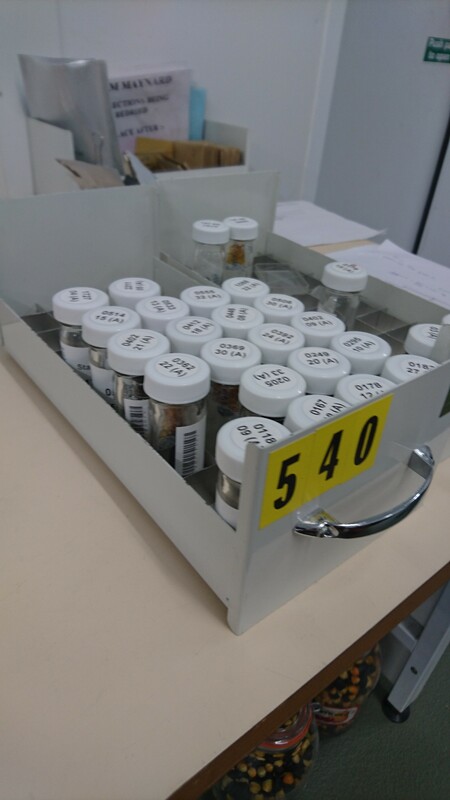 At some point before the seeds go into storage, 50 seeds from a collection are weighed and then the whole seed collection is weighed. From this the mean seed weight is calculated. 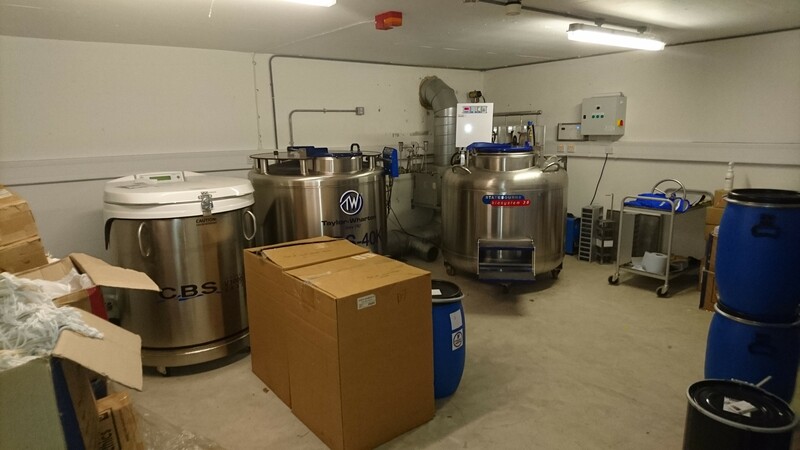 When the seeds are ready, they are put in jars and then stored at -20oC in an underground vault. There are two types of vault rooms – active rooms and base rooms. 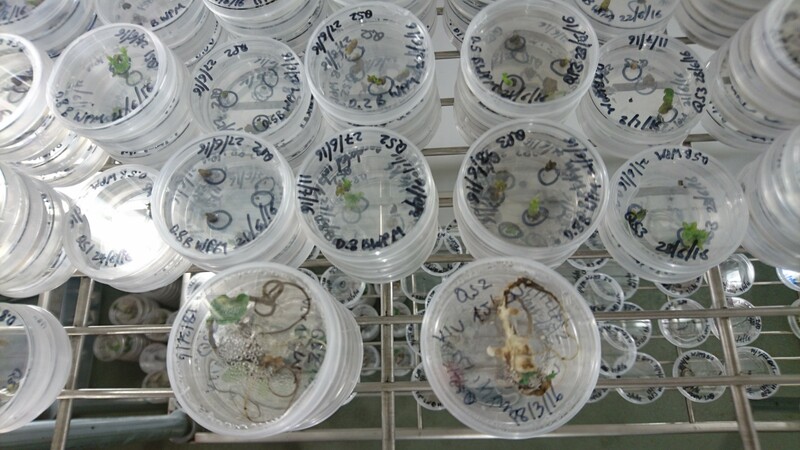 The seeds in the base rooms are left undisturbed, while seeds from the active rooms are used for research and regular monitoring. After seeds have been frozen, an initial seed sample is warmed up and germinated to test for viability. 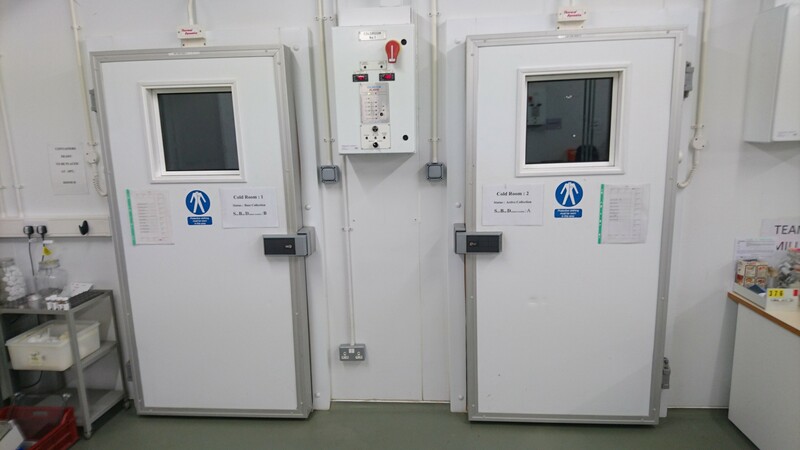 Samples are then taken from the underground freezer every ten years and germinated in order to monitor their continuing viability. This is done until there are no longer enough active room seeds to do this. 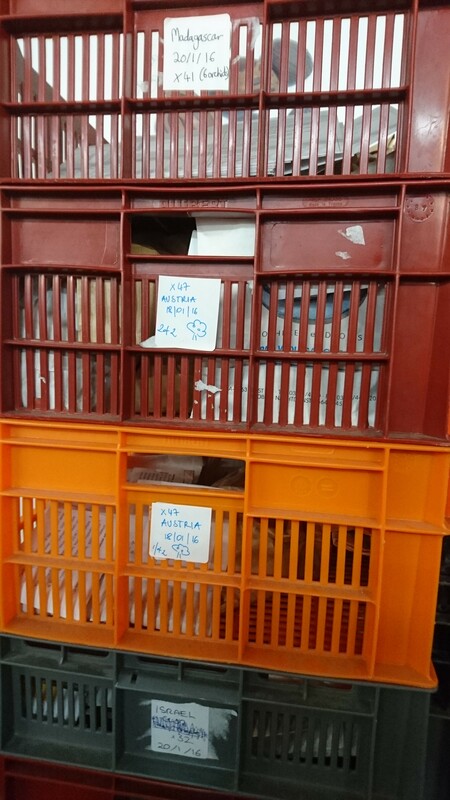 The remaining frozen seeds are then moved to a base room and are also left undisturbed. At this point it’s time to collect more seeds from the wild. Seeds are germinated on agar, a jelly-like substance taken from algae. Certain nutrients can be added to the agar to meet the requirements of the seeds. The seeds are kept at temperatures and humidities matching their country of origin, and some seeds are moved from light rooms to dark rooms to simulate day and night. Some seeds can be more demandng and extra steps need to be taken to improve germination such as subjecting them to different climatic conditions and adding chemicals. 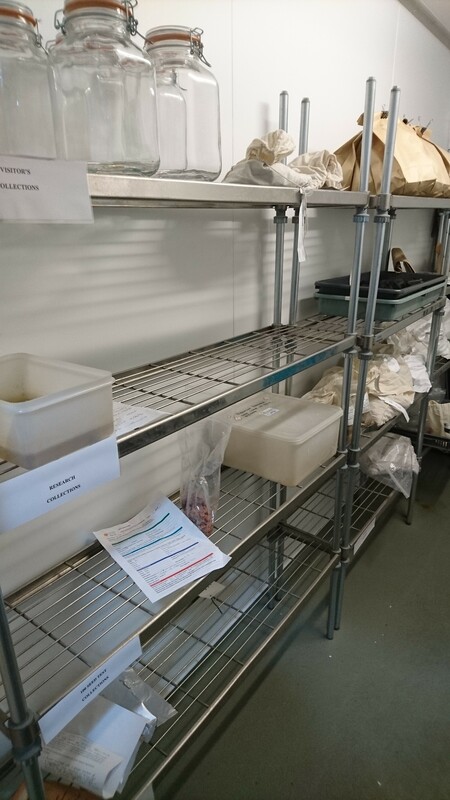 Once the active room seeds have been germinated and counted they are often destroyed, although Kew is looking into being able to grow more of them on in a nursery. 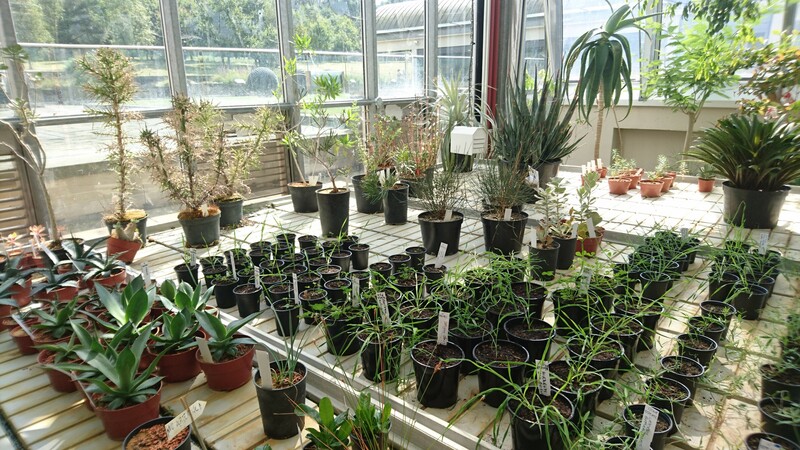 Some seeds are grown on in greenhouses to definitively ascertain species and to create herbarium specimens, and also if they have been requested by outside organisations. The recalcitrant seeds that could not survive the drying and freezing processes include coconuts, brazil nuts and acorns. Currently these seeds are germinated and the embryos are then cryogenically frozen in liquid nitrogen at -196oC. This method is being actively researched and developed because as yet its not been that successful. 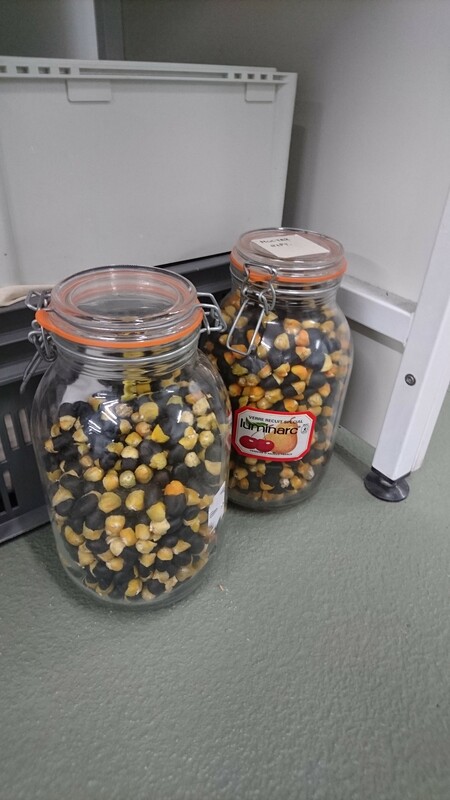 The value of the seeds stored at the Millennium Seed Bank is as a research resource, and as a living natural heritage archive which can be used to boost wild plant populations if plants become rare. Thanks to the Millennium Seed Bank, and thanks to the Society for National Park Staff for paying my expenses. 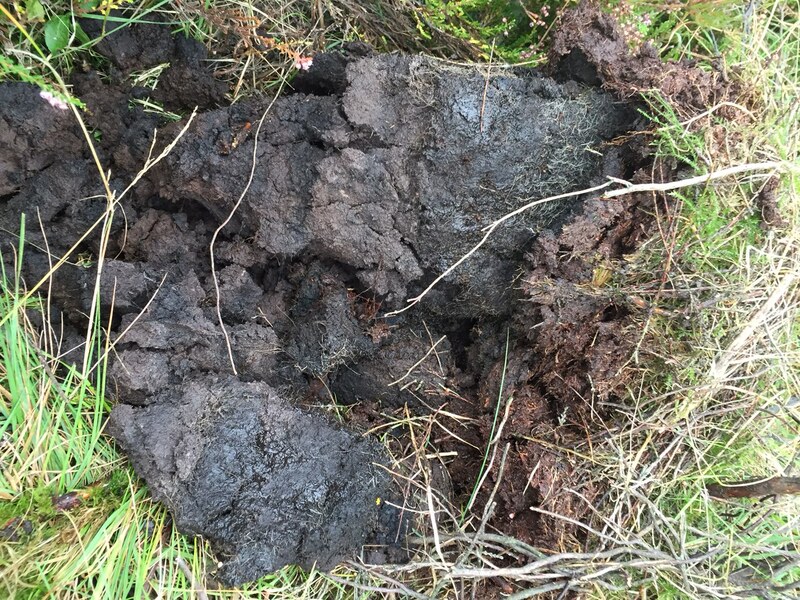 We’ve launched a new concerted effort against two of the most threatening non-native invasive plant species in the North York Moors, bolstered by funding from Yorkshire Water over the next four years. 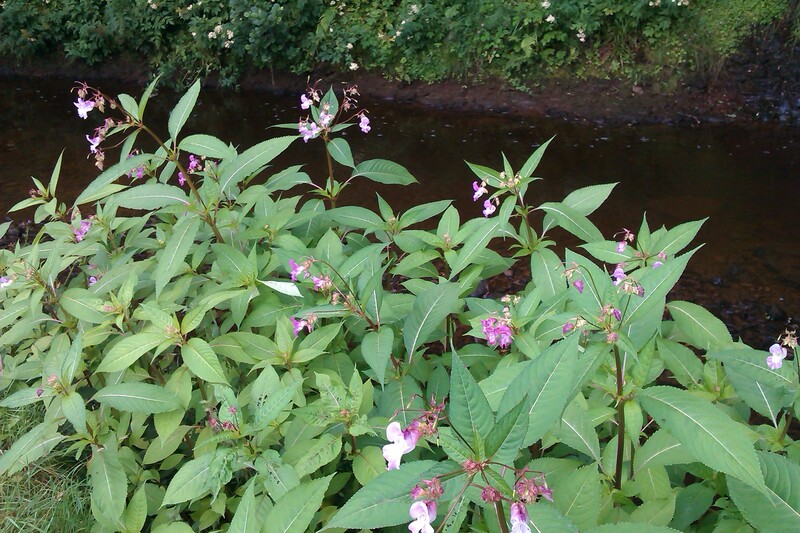 We’re chasing down Himalayan balsam (Impatiens glandulifera) and Japanese knotweed (Fallopia japonica) in the River Esk and River Rye catchments. As well as damaging existing ecosystems and decreasing diversity, both these species tend to overwhelm other plant species along river banks and the danger from this is that during the winter when these non-natives die back the banksides are left bare of vegetation so subject to erosion which increases the sediment getting into watercourses and smothering the water habitat. Both plants are vigorous growers and virulent spreaders. Himalayan balsam disperses thousands of seeds per plant through exploding seed pods that can propel the seeds metres from the original plant. If the plants are next to watercourses the seeds can be carried downstream to colonise new areas. 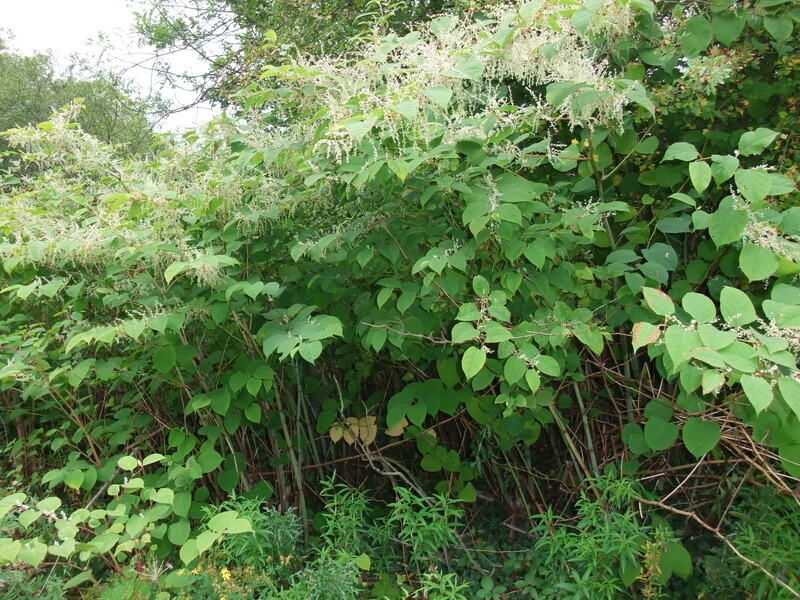 Japanese knotweed spreads through its underground rhizomes which are so effective that all remnants of the plants need to be carefully disposed of because even a small fragment of rhizome if given the chance to re-root will form a new plant. The only way to have any real impact on the plants is to tackle them systematically starting at the top of catchments and moving downstream, and repeating the control year after year to remove any vestiges of the plants. This new funding will provide a much needed boost to efforts made over the last few years. We’ll be surveying the current extent of the plants and then resurveying each year to monitor the effects of the control. We’re using tried and tested control methods – hand pulling the Himalayan balsam before it gets the chance to seed and propogate, and treating individual Japanese knotweed plants with directly administered glyphosate injections to carry the chemical down into the rhizomes. We’ll be using contractors and volunteers to carry out the work coordinated by National Park staff. 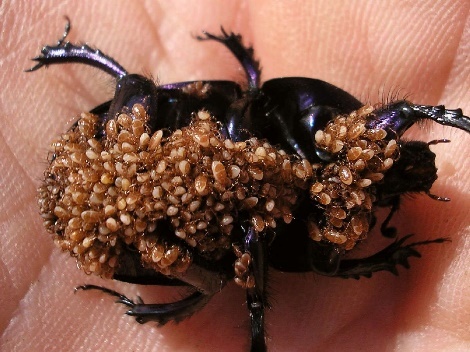 Controlling and hopefully eradicating non-native invasive species in an area takes a long time. 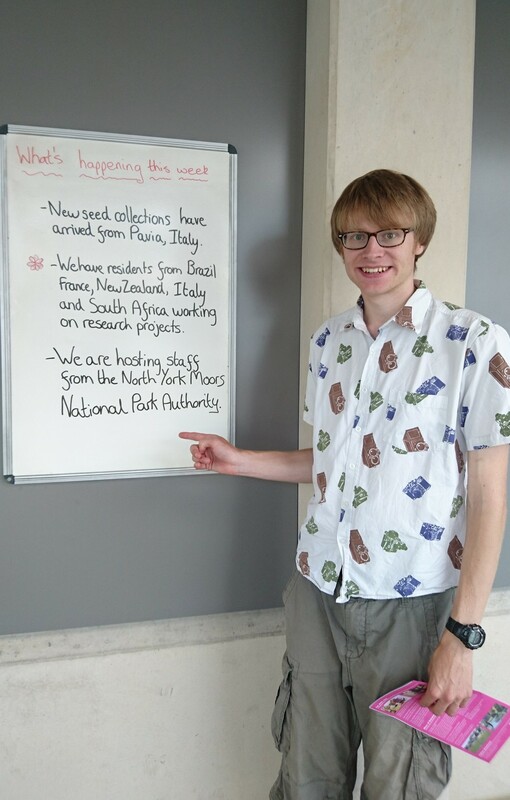 Simon, our River Esk Project Officer, is a real enthusiast for non-native invasive species control because he sees the detrimental effects the plants have on the river environment and on his beloved Freshwater pearl mussels. He can see the years of attrition starting to pay off as native vegetation starts to recolonise sites where invasive species have been removed. 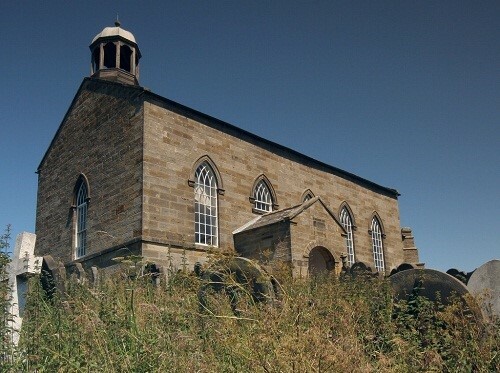 Currently this National Park Authority has two strategic priorities: one is to promote the North York Moors and the other is to improve the connectivity of habitats in order to benefit the biodiversity and landscape of the area, and mitigate the encroaching impacts of climate change. Habitat connectivity features quite heavily on our Blog; that’s because it’s important to us. Habitat connectivity is the main driver for the work of the Conservation Department. 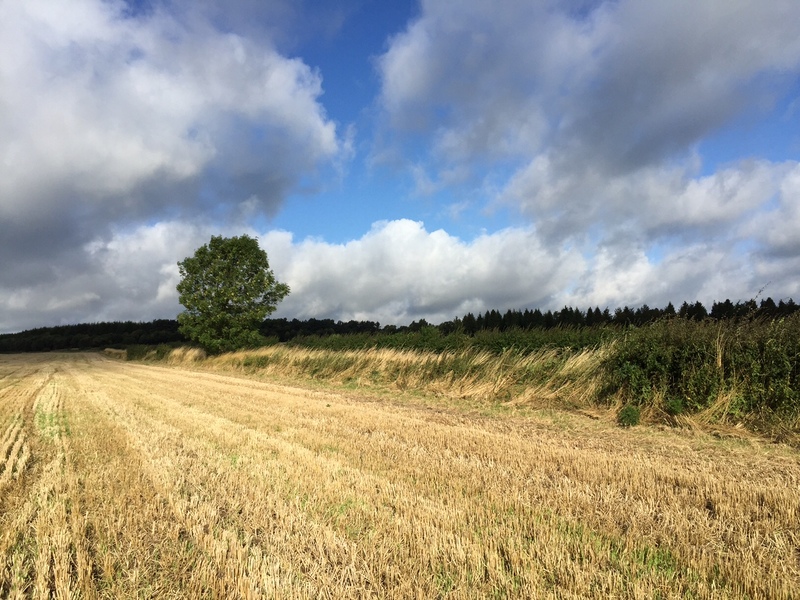 It’s generally accepted that some of the most (ecologically) important habitats within our countryside have declined and fragmented over the decades and good quality habitat now tend to only exist in isolated pockets across the landscape. 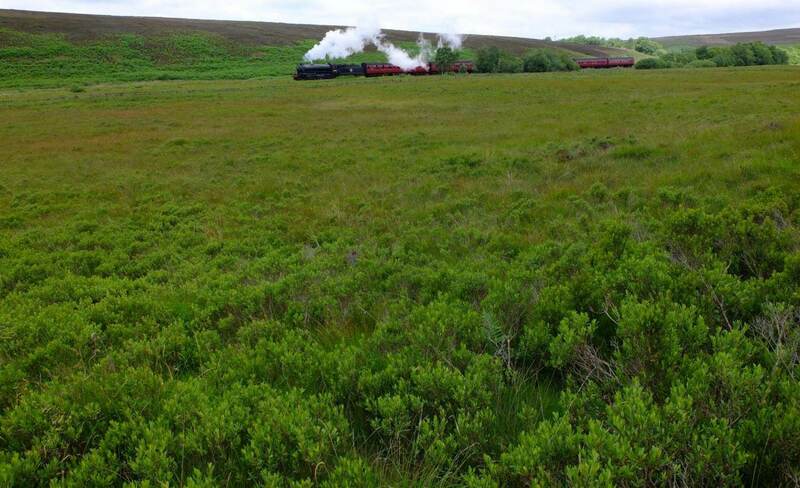 The first step is to conserve these remnants and then go on to establish connections, buffers, corridors, stepping stones – linking and increasing the habitat resource and therefore its sustainability into the future. 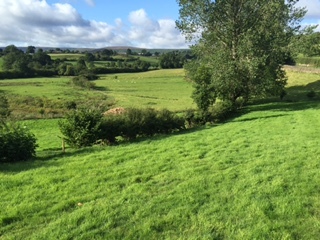 These connections, buffers, corridors, stepping stones allow animals, birds, plants to move through the landscape between the habitats they need which helps populations thrive and grow (helping to mitigate the effects of climate change) – ‘stitching’ the landscape back together for wildlife. Imagine a habitat e.g. 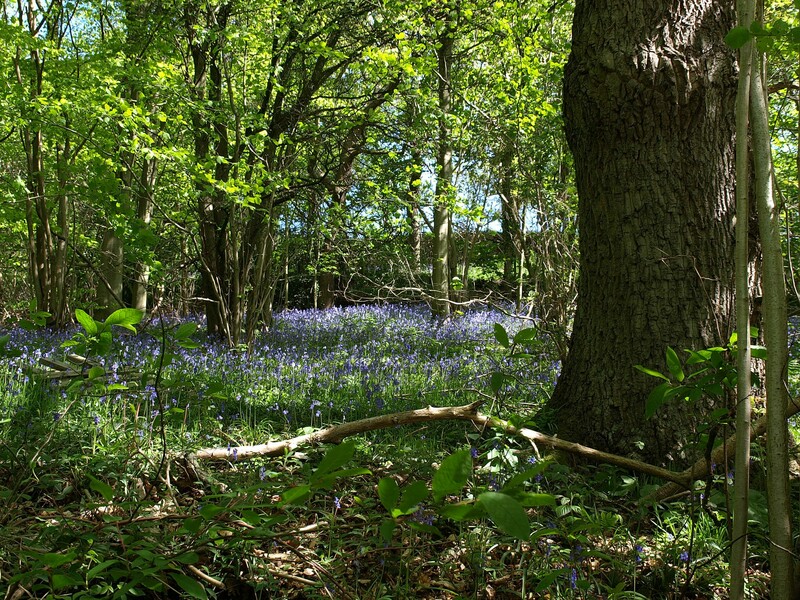 native woodland and the biodiversity that depends on it e.g. oak, ash, birch, hazel, bluebell, wood anemone, wild garlic, great spotted woodpecker, nut hatch, wood warbler, tawny owl, ringlet butterfly, feathered thorn moth, barbastelle bat, wood mouse, not to mention the ferns, fungi, lichens, mosses, beetles and spiders etc. etc. 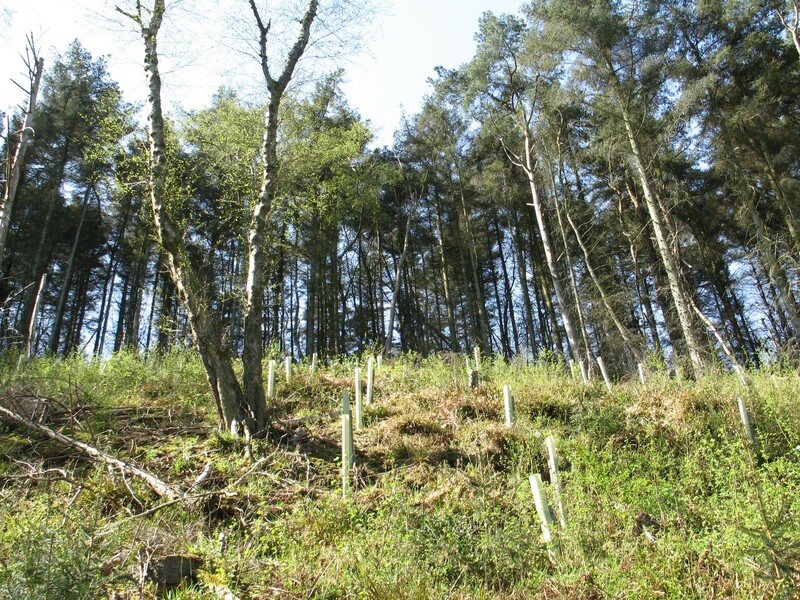 We want to better the condition of existing native woodland habitat, to increase the extent of native woodland habitat, to create new native woodland habitat, and to ensure native woodland habitat is better connected; all to ensure a linked landscape for native woodland and the wildlife that depends on it. 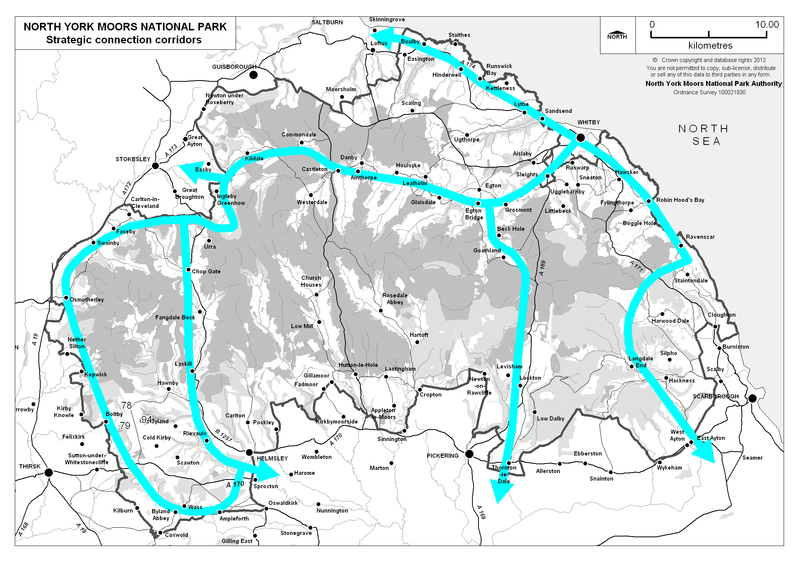 Back in 2012 we sat down with a map of the National Park and considered where we were at. As discussions developed a clear picture of where concerted effort was needed began to emerge. We knew more or less where the surviving key habitats were and we also knew where we wanted to enhance other habitats more generally e.g. the areas which had been key habitats in the past and could benefit from restoration. Key habitats such as Ancient Woodlands, species rich and semi-improved grasslands, riparian strips and coastal hinterland were used as focuses around which to plan for greater connectivity. 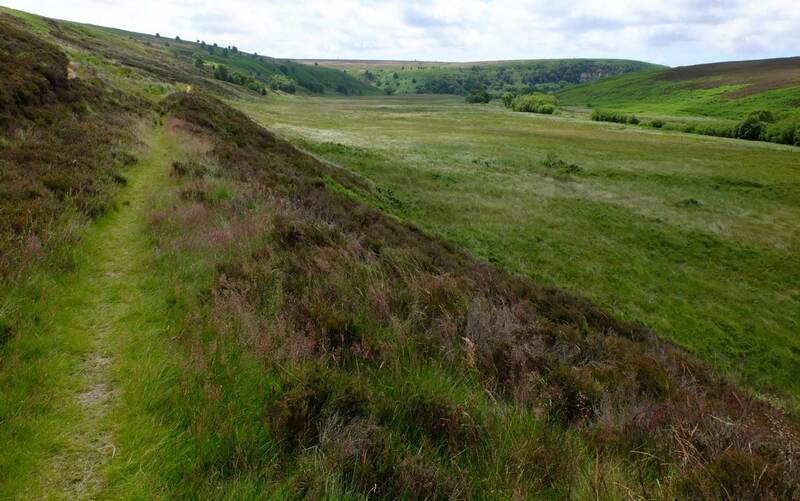 In the North York Moors, heathland/moorland which makes up around a third of the National Park would seem a likely key habitat but as this is already well connected with large expanses stretching as far as the eye can see, it does not require the attention that more isolated habitats do in terms of habitat connectivity. We identified the strategic corridors where our efforts would be best focused in our 2012 Management Plan. 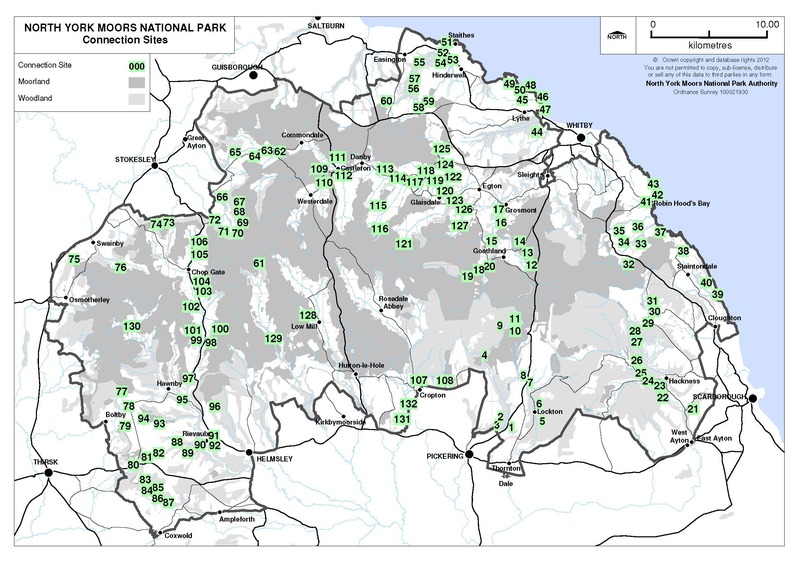 We then identified the key ecological gaps along these corridors as well as a number of essential gaps to address more widely – 132 of them in total. What we then needed was a method of implementing our thoughts and vision. We draw polygons around the gaps to provide a framework for practical implementation. Officers are assigned individual or groups of polygons and using the original objectives for each ecological gap (e.g. 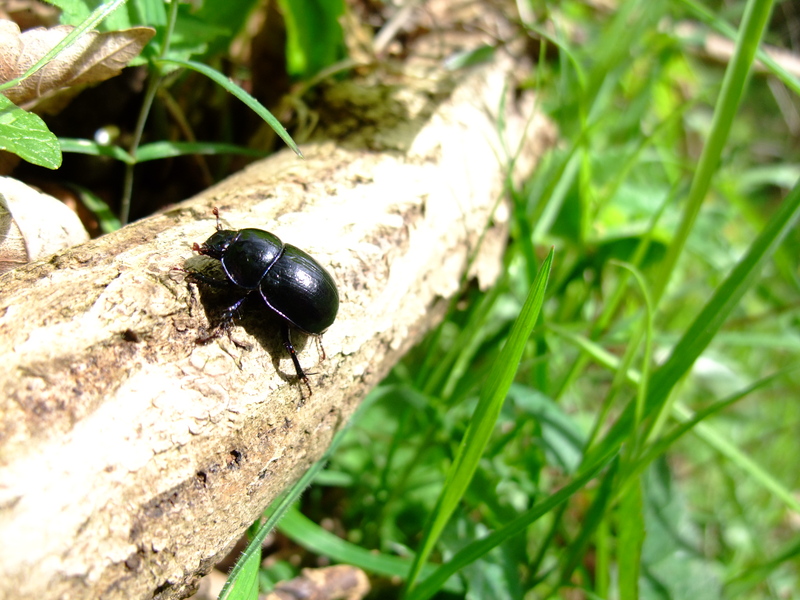 restore PAWS to having Ancient Woodland characteristics, develop a mosaic of habitats, enhance species rich grassland) we develop rationales setting out what might be done on the ground and how best to do it. If we are going to carry out work and spend money in these target areas we need to establish sound reasons for doing so and to be able to justify our decisions. We start by carrying out a desk study of the habitat interest and records in that area – this includes previous habitat surveys, species information, existing and previous agri-environment agreement areas, public access, historic environment records, designations, and aerial photography. 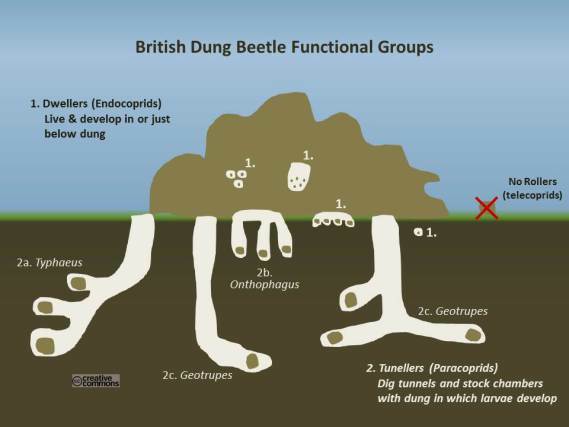 The records are important because as well as looking for opportunities we need to also consider potential constraints such as the historic environment because we don’t want to accidentally damage a valued feature by attempting to achieve the aims of Habitat Connectivity. Once we have this background picture of a target area we need to get our boots on and get out on the ground to see what’s really there. 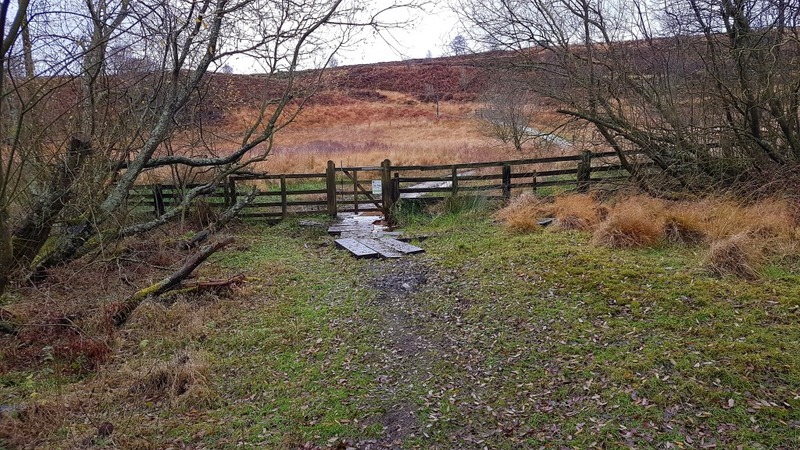 We’re looking initially from Public Rights of Way only (unless specific permission to access the land has previously granted) – we need to assess how much of the information we have matches the real situation on the ground. A key requirement is to take good quality photographs (both of individual habitats and the wider landscape) as well as making accurate field notes, annotating our original maps and at the same time looking out for possible linkages across the landscape. As our main habitat survey information (a Phase 1 Survey) is nearly 30 years old it is not always still accurate as habitats have changed and shrunk since then. This is especially true of unimproved grasslands identified in the late 1980s where scrub, bracken and bramble succession has since encroached. 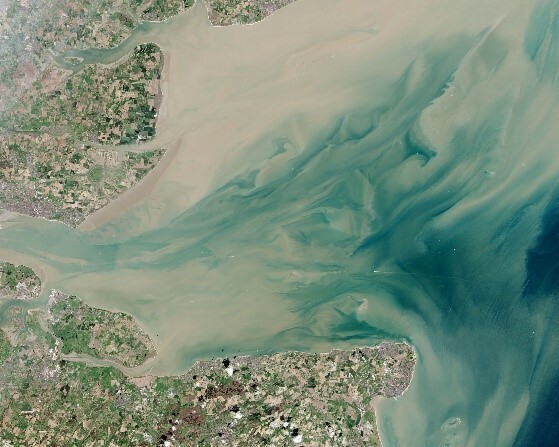 Identify – find and assess the current condition of the key habitats. Protect – ensure that quality habitats are in some way ‘protected’ i.e. conserved. 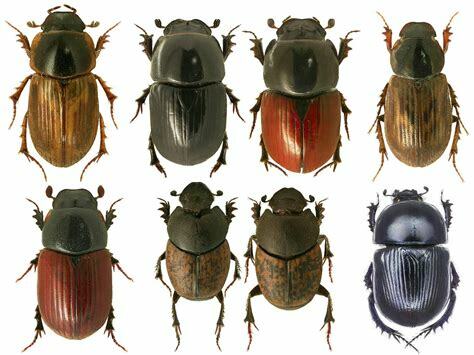 If there are particularly important species e.g. breeding waders, making use of a habitat e.g. rough pasture, that habitat might be enhanced but shouldn’t be transformed. Enhance/restore – most areas of habitat need some form of continuing care and maintenance to prevent decline or loss. Expand – are there any adjacent buffer areas of land that could be incorporated into the habitat? Create – establishing new areas of habitat nearby – this is easier for some habitats e.g. 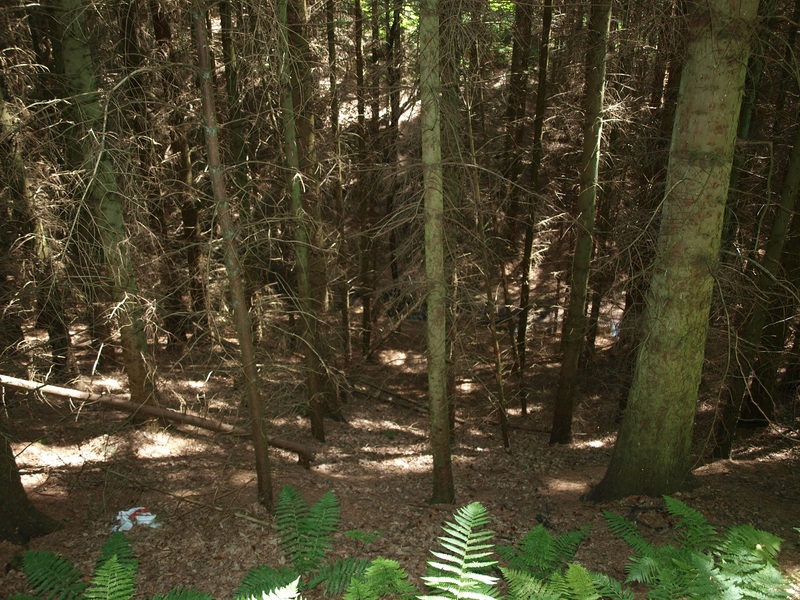 woodland than others e.g. grassland. Long term commitment is required. To take forward any ideas the involvement of landowners/land managers is essential. In many cases for a land manager and their family the land is their living. To protect, enhance/restore, expand or create the landowner/land manager has to be willing. 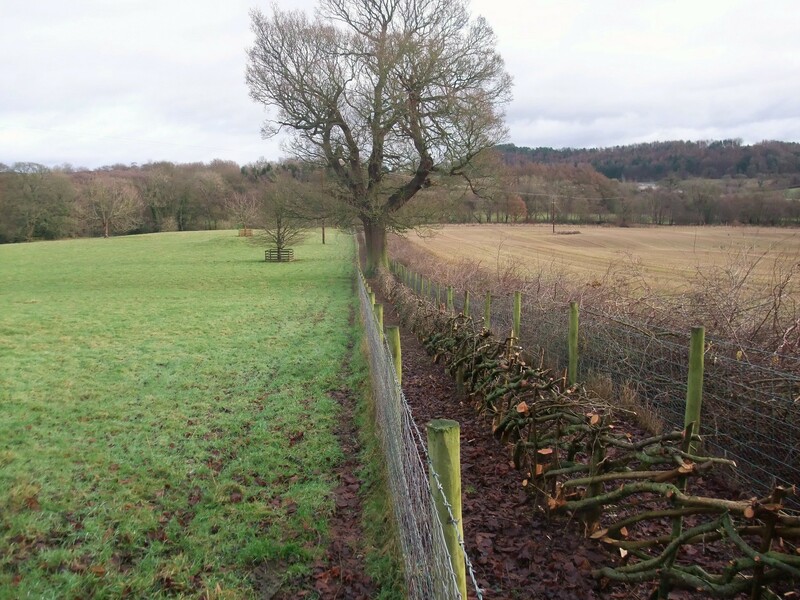 We’re talking about facilitating capital works like fencing to control stock, scrub control, tree/hedge planting, spreading wild flower seeds, cutting grassland, managing woodland etc. Following negotiations, the National Park Authority can provide grant assistance, use its own Volunteers and Apprentices to carry out the required tasks, or buy the necessary materials and the land manager provides the labour. Longer term requirements are met through maintenance clauses or land management payments over time. 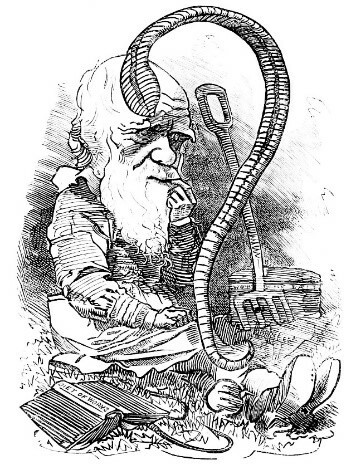 Then once the work is organised and underway, at some point we need to be able to declare whether the gap has been addressed and the looked for key ecological connection made, or rather is on the way to being made. We do that by returning to the rationale – have we been able to achieve what was identified as being required at the beginning of the process? Although the process takes time it is necessary in order to ensure that we achieve the best workable and sustainable linkages we can.